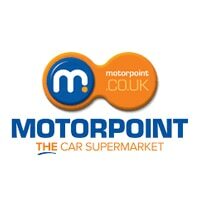 Motorpoint Group is an independent, non-franchised car supermarket. Like similar car supermarkets, there are offer hundreds of cars from many different manufacturers in one showroom. The group specialises in nearly new vehicles, most of which have covered less than 15,000 miles. Motorpoint has 12 locations throughout the UK, helping you find used cars. Since starting business, they’ve aimed to open, on average, one new site per year. It’s the UK’s largest independent vehicle retailer, so you’ll certainly find plenty of choice on offer at any Motorpoint Group dealership. As a relatively young car dealership in the UK, Motorpoint has found great success in its few years. Co-founded in 1998 by David Shelton, the company opened its first site in Derby and has since expanded throughout Britain. Motorpoint currently operates from 12 showrooms and lays claim to a number of firsts. The company was the first car supermarket to sell to every postal area in England and Scotland, and in 2016 Motor Trader magazine rated the company as the UK’s number one independent car retailer. The company sells used, and nearly new cars and vans. As an independent dealer, Motorpoint stocks vehicles from a wide range of manufacturing groups. In fact, the group’s showrooms can feature cars from over 30 brands, such as Audi, Jaguar, Nissan and BMW. As well as this, you’ll find cars from Vauxhall, Fiat and Toyota. Motorpoint Group also offers a wide choice of models, like luxury cars, crossovers, hatchbacks, coupes and convertibles.